Rick has been honored to create a number of special paintings that are nationally recognized and about this great country. 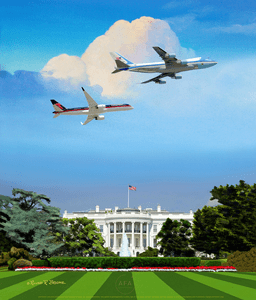 His newest piece "Great America" features Air Force One with President Donald Trumps 757 over the White House. Limited Availability!